Lake Wylie is a man-made lake located in North and South Carolina. The lake covers a surface area of about 13,400 acres has 325 miles of shore line. Lake Wylie is located in three different counties: York (SC), Gaston (NC), and Mecklenburg (NC). The unique diversity in the three counties offers potential residents a wide variety of lifestyle choices. Whether you're looking for a rural lifestyle, upscale neighborhoods with amenities, or somewhere in between, you can find a home in the Lake Wylie area. The communities that surround Lake Wylie are thriving with a casual lifestyle and enthusiasm for all types of outdoor and water activities, including golfing and boating, skiing, windsurfing, and fishing. 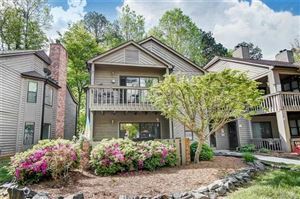 Elegant lakeside living, cozy wooded neighborhoods, and spacious, convenient condominiums add to the feeling that you are enjoying life in a year-round resort. Residences enjoy four distinctly beautiful seasons, a moderate climate, and an abundance of natural surroundings. Top-rated school system makes Lake Wylie very desirable for families. Click on this link for waterfront properties in Lake Wylie. The close proximity to the Charlotte metropolitan area provides numerous sporting events, concerts, live theatrical performances, museums, art galleries and more. It also makes for a convenient 30 minute commute to work in Charlotte NC. The Charlotte Douglas International Airport is a short 30 minute ride from Lake Wylie.